The 3 ‘Better’ trading indicators are non-correlated. 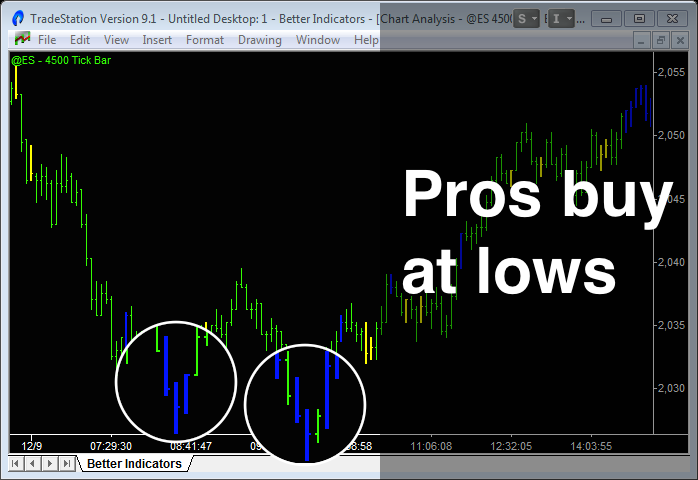 Better Sine Wave measures price; Better Momentum measures volume; Better Pro Am measures trade size. When they signal together they generate high probability trades. Simple, logical, powerful. Too many traders are relying on price-based indicators alone. Their charts are crowded with MACD, moving averages, RSI, Bollinger Bands, etc. These indicators are all correlated and don’t add any new insight into what is driving the market. 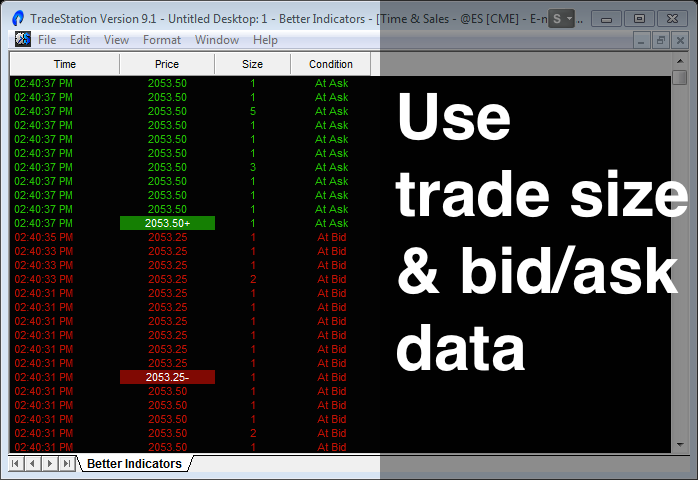 Modern data feeds enable us to track and analyse trade size and whether the trade was made at the bid or ask price. We now have 3 data points instead of just one (price). Most traders are just ignoring this new information – big mistake, huge! Imagine you could see what the Professional traders were doing? Well you can. Professionals trade in size; Amateurs trade in singles. Better Pro Am measures Average Trade Size and enables you to follow the Professionals and “fade” (do the opposite of) the Amateurs. Volume is the fuel that drives Price. Declining buying Volume always precedes a market top and vice versa for a bottom. Better Momentum analyzes these waves of buying and selling Volume and pinpoints market turning points with bullish/bearish Volume momentum signals. Price movement alternates between cyclical and trending phases. Unlike a moving average, Better Sine Wave measures both these cycles and trends. 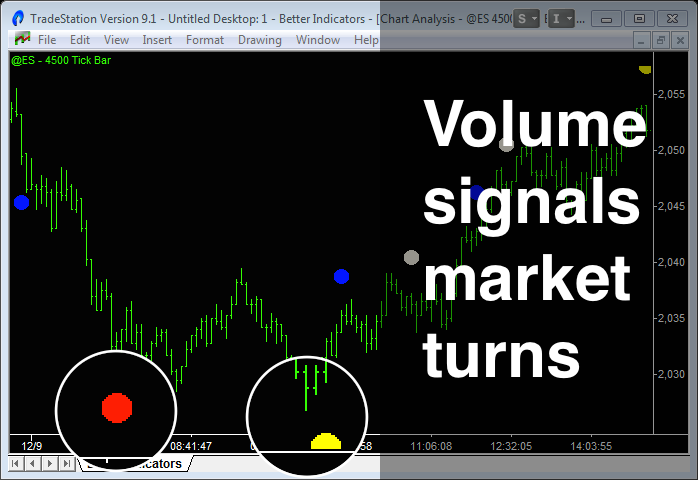 It plots cycle entry points when the market is in a trading range. 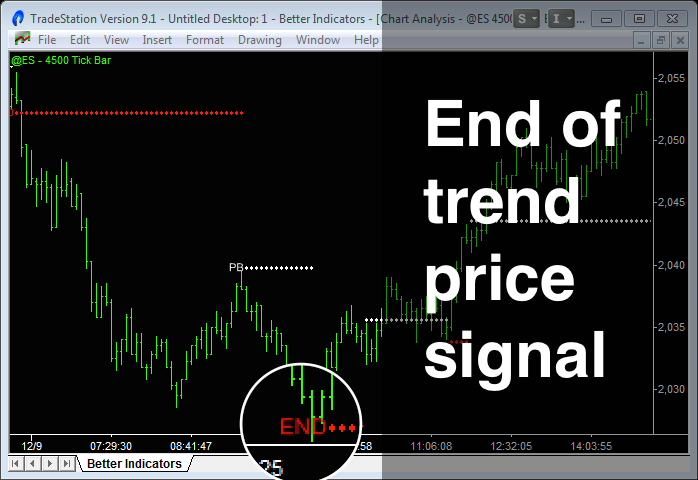 Then when the market breaks into a trend move, the indicator signals early entry and holds a position right to the end of the trend. The ‘Better’ indicators are simple, logical, powerful. Together they pinpoint market turning points and changes in trend direction. There are no inputs to optimize and the ‘Better’ indicators work on all timeframes and all markets – Emini, Forex, Commodities and Stocks.